Welcome to our Training Center located in the heart of Fruitland, Idaho! The Heart ‘n Home Training Center was built with the vision of creating a unique space to support a learning-centric environment for our employees. Paralleling our vision of being recognized nationally as the school of hospice – the building is designed with a central focus on education, including a Training Room, multiple conference rooms, classrooms, and innovative ways to enhance care at end of life. We aspire to affirm life of our patients, families, and employees through administrative and educational support to all Heart ‘n Home locations. Housed inside the Training Center is Senior Leadership, Compliance and Quality Improvement, Finance, Human Resource, IT, and Public Relations Departments. Our largest conference room is available for the community to rent free of charge. The room seats up to 50 people and includes a sink, freezer/fridge, and handicap accessible restroom. To make reservations please contact our Executive Assistant at (208) 452-2662 x134. 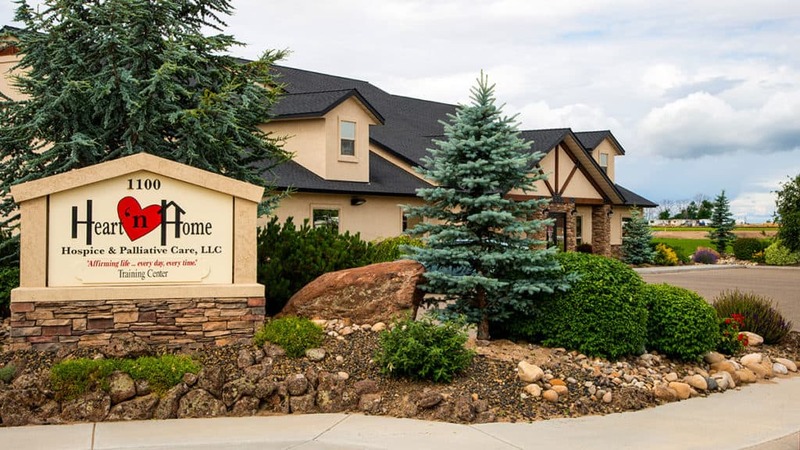 Heart ‘n Home affirms life by providing compassionate, end-of-life care for seriously ill patients and families in Southern Idaho, Eastern Oregon, and Central Oregon.